David Kenneth Schlegel, 73, of Albany, GA., died Tuesday, April 2, 2019 at Phoebe Putney Memorial Hospital. A memorial service will be held Friday, April 5, 2019 at 2:00 p.m. at Mathews Funeral Home. Mr. Ross Powell will officiate. The American Legion will provide military honors. 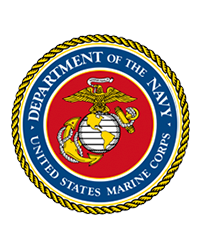 A native of Rochester, NY., Mr. Schlegel was a veteran of the Vietnam War a purple heart recipient and served proudly in the United States Marine Corps. He was a retired maintenance mechanic at Miller Brewing Company where he worked for twenty nine years. Mr. Schlegel was of the Episcopal faith. Survivors include his wife of fifty four years Sandra Lee Schlegel, of Albany, GA., his children, Earl Schlegel (Kelli) of Albany, GA., Brian Schlegel (Amanda) of Leesburg, GA., and Sonya Schlegel of Albany, GA., his grandchildren, Kenneth Schlegel, Michael Schlegel, Craig Schlegel, Easten Schlegel, Phillip Moore III, Brandon Durham, Rhiannon Schlegel and Kaden Schlegel and two great-grandchildren, Gabriel Schlegel and Jase Schlegel.